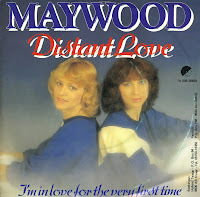 1981 is a very successful year for the Dutch duo Maywood. They release three hit singles, of which 'Distant love' is the first, and they win the prestigious Silver Harp awards in the Netherlands. They also receive prizes and awards in Germany, Poland, Japan and Korea. A world tour takes them to Sweden, Finland, Bulgaria, Indonesia en de Soviet Union. 'Distant love' reaches number 15 in the Dutch Top 40, a placing that is exceeded by the two subsequent single releases. 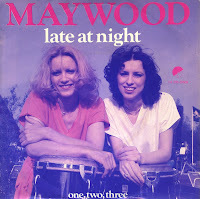 The Dutch duo Maywood had several hits in the Netherlands, but none of them was as big as 'Late at night'. This single reached number 1 in the Dutch Top 40 in the summer of 1980. There were actually many sultry nights during that summer when my sister, who owned a copy of this single, played this song, and I will forever associate this song with hot summers for that reason. One of the most fascinating features of this song are the vocals. Someone in the studio must not have been paying attention: you constantly hear 'Late at nighT / Early in the morning lighT'. The sisters Alie and Doetie de Vries, calling themselves Alice May and Caren Wood, started singing at a very early age. The joined the Karina's in 1974, moving on to the country group Colt 45 in 1976 and in 1977 forming the duo The Lady Pop's. 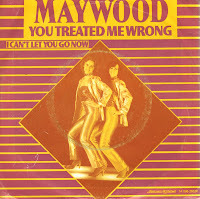 In 1978 they decided to continue as Maywood. 'You treated me wrong' was their second single, produced by ex-Kayak drummer Pim Koopman, who had just started producing. Although the single only reached number 32, it was their first Dutch Top 40 hit and the start of a very successful career. 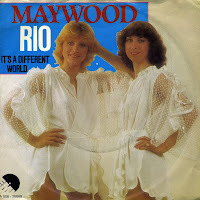 According to the Dutch duo Maywood, Rio is a 'land of sun, samba and wine'. But of course, Rio de Janeiro is a city in Brazil. It does make you wonder what Alice May (one half of the duo) was thinking while she was composing the song. 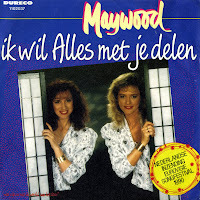 The sisters Alie en Doetie de Vries took on the names Alice May and Caren Wood and formed the duo Maywood in 1978. Their songs - performed in English - were mostly theatrical ballads and popsongs. Their early work was produced by ex-Kayak drummer Pim Koopman. After their success seemed to elude them in the late Eighties, they tried to regain public profile by representing the Netherlands in the 1990 Eurovision Song Contest. The song 'Ik wil alles met je delen' ('I want to share everything with you') wasn't the success they were hoping for: they finished 15th in the Contest. After this, the duo fell apart and even went to court on a few occasions. Alice May is still touring the Netherlands with Maywood songs these days.